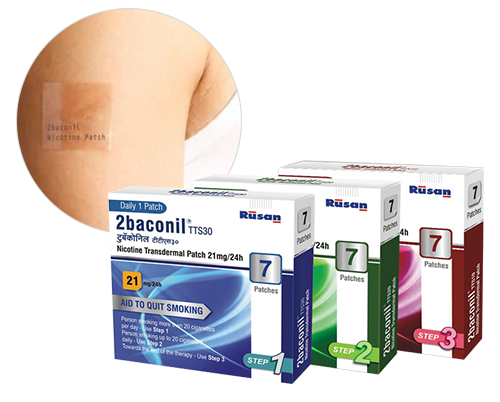 2baconil® Patch is a nicotine transdermal patch that helps in quitting smoking / smokeless tobacco using the principle of Nicotine Replacement Therapy (NRT). It is a unique 24 hr patch with SmartTime Release® Technology that helps control the urge to consume tobacco all day long. 2baconil® braces an individual through the day by delivering remedial nicotine via the patch's specially designed layers and overcome the side effects associated with quitting smoking. This product also provides a measured dose of harmless nicotine through the skin. 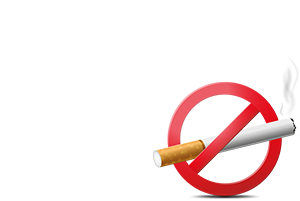 As the nicotine doses are lowered over a course of 12 weeks, the tobacco users are weaned off nicotine slowly & steadily, minimizing the withdrawal symptoms.